When my older children were entering preschool, my husband and I considered where to send them. At the time, there was only one Orthodox option where the children would learn Torah, be offered only kosher food, and be surrounded by mitzvot and Jewish culture. That preschool, though, fed into an elementary school that offered girls and boys different educations. Starting at about age 8 or 9, the boys were pulled out of class to learn Mishnah, while the girls were offered something else (non-academic, I think). 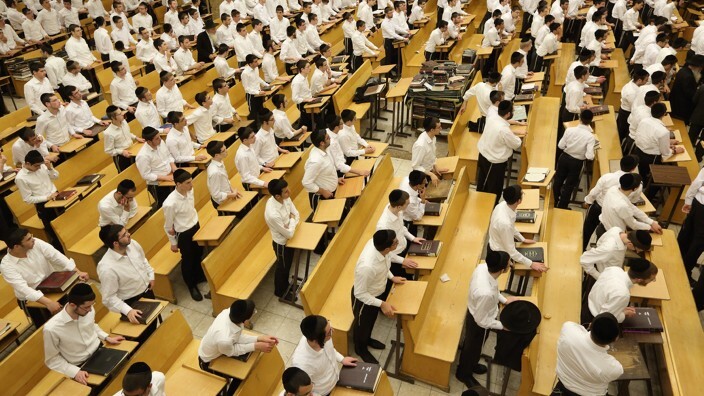 We decided to start in the Haredi school, with a plan to move later, before the school diverged from our values. 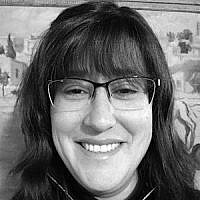 My husband and I comforted ourselves that, by age 8, our children would be at a Modern Orthodox school, where girls and boys would get identical educations, complete with serious Talmud for everyone. In retrospect, I don’t know how I could have been so naive. I had, after all, learned at Midreshet Lindenbaum in the early ’90s. At that time, it was the only post-high school program with a Talmud focus for girls. The young men who went to Israel in my year had many serious Talmud programs to choose from. They could stay for up to three years before they outstayed their classmates. The young women who went that same year had only one Talmud option, with no functioning shana bet program. 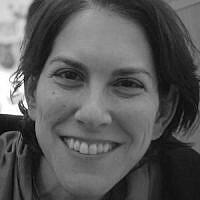 (We didn’t even imagine a shana gimmel!) And yet somehow, just 10 years later, I was naive enough to think that Modern Orthodox education meant educating girls and boys equally and together. I should have known better. But I fooled myself because I wanted it to be true. 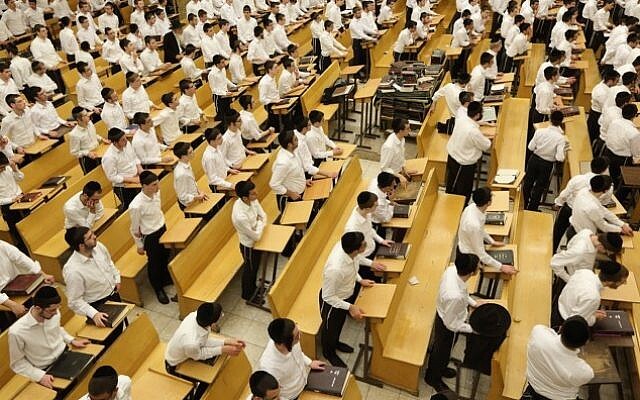 Sadly, it turns out that the difference between a Modern Orthodox education and a Haredi education is one of timing, not principle. It turns out that everyone agrees that boys should get a better and more rigorous Talmud education. It turns out that everyone agrees that girls should have more access to non-Talmud education and activities. It turns out that the difference is about three to six years, depending on your school and your community. Haredi parents, who would howl in indignation if their preschool separated 2-year-olds so as to offer better or more education to the boys, think nothing of allowing exactly the same thing to happen at age 8. Likewise, Modern Orthodox parents, who would never tolerate separate and inferior education for their 10-year-olds barely notice when they send their 18-year-olds off to separate and decidedly unequal post-high school programs and colleges. We take girls and boys, who are classmates with similar educations at 18, and turn them into 23-year-old women and men with vastly different educations. We routinely and without thought deprive our young women of Talmud. We routinely and without thought deprive our young men of Tanach and a balanced life. Imagine if yeshivot and Jewish colleges worked the same way as coed day schools. Your son or daughter could choose the school with the program that appealed to him or her, and apply for admission without reference to gender. He or she could be considered for admission with reference to skill, talent, passion for learning, and knowledge, not gender. Your son and your daughter could receive the same education in the same school, without reference to gender. Young men and women who graduate high school with similar Torah skills and knowledge could also graduate from college with similar Torah skills and knowledge. To the extent that students would still get different educations, it would be by choice or because of differences in ability or passion. It may be that young women would still choose the programs that are currently offered for young women. It may be that the young men would still choose the programs that are currently being offered for young men. Maybe. We’ll never know unless we try. And, even if that turns out to be the case, they will feel different about their educations, because they got to choose. There may not be many girls who want to learn Gemara for 60 hours a week for three years. There may be few boys who want to spend one year learning a balanced curriculum and engaging in chesed (social action projects). But, for those who do want to, there is no reason to turn them away from the schools they belong in just because of their gender. If we believe what we say we believe, then there is no reason to suddenly change our beliefs about education and our tolerance for sexism just because our children graduate high school. It is high time that we take the obvious and appropriate path. Let’s make our yeshiva and college programs coed. Let’s continue offering options, but let’s offer all of the options to all of the students. Gender makes a very poor proxy for either talent or interest. Deborah Klapper holds an AB from Harvard University and a Scholars' Circle certificate from Drisha Institute. She lives, learns, and teaches in Sharon, MA.